Featuring the MU-MIMO technology, the PRC3801 offers up to 1200Mbps* wireless speed, ideal for home and small office usage. It can also be used as an Access Point or Repeater to extend Wi-Fi coverage. Highly Recommend Received item well packed and super fast. Received item well packed and super fast. Highly Recommend written by mobile Good! Fast delivery! Delivery was fast. Set up was easy. After sales service is good. Highly recommend! Have not setup yet...hopefully is easy to do so. Superb!! Urgently need one and we ordered on Tuesday and Thursday before noon, i got the modem and got it set up within 10min. Kudo PROLiNK!!! Delivery was really fast from the seller Prolink. The router was working well, however, I realise that the max wireless speed of 5GHZ was not operating at the max 867 mbps as reported. You might want consider this important point. fast delivery, yet to test though. Receive in 2 days ! super fast , super easy to install , just plug and play , no set up needed . Item received in good package but item don't work well. Have problem with the setting up. Network crash. Repeater could not complete the configuration. Manual instruction incomplete / not detail.Hope seller may help and advise. Very fast Delivery! Hope the product is good! Received in good conditions. Fast delivery. Easy installation. Fast delivery, nicely wrapped and easy installation and configuration for wifi repeater! Now theres no more deadspots in my room! ALL products have to be registered online for warranty!! Hi can I know how to set the router to a wireless repeater? Hi there, please refer to the 1 of the 2 videos as stated in the listing - repeater mode. Let us know if you have difficulties setting up. Can it be used for wifi range extender? How to switch to this setting? Hi there, pls refer to the attached file to set up as wireless repeater. hi, i have another question, every time i switch between mobile phone prolink wifi connection and computer PC prolink wifi connection , i have to restart prolink modem in order to use the prolink wifi on my PC. any solution ?? Hi there, most likely is PC wireless card issue. You may be required to update the driver. My current wifi signal is weak to reach other floors. With this router placing at level 3, is it possible to strengthen the signal to level 2 & 1? If not, please recommend a suitable model to purchase. Thanks! Hi there, you can do repeater or AP mode. For AP mode, you require wired to PRC3801 (router). Whereas repeater mode is wirless but bandwidth will decrease around 30-40%. Hope this helps! Thank you. My modem has a built in router. Can I add another router to the modem to boost up the signal? Hi there, yes you may. 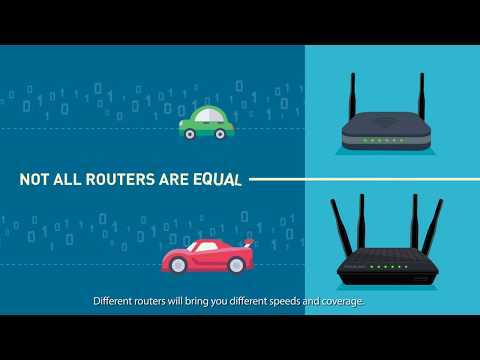 PRC3801 router has a repeater mode or you may also use wired cable as AP mode. Please watch this video about the repeater mode. Hope this clarifies! Thank you. Is there any advantage to use the router as a repeater (wireless)? Stronger in signal? How do I boost up the signal to level 2 & 1? (My modem is fixed at level 3). Do I Place the router on level 2 to boost up the signal at level 2? What’s your contact number? I think it’s easier to understand by talking to you. Hi there, you may contact our friendly tech specialist at 6357 0668 on weekdays before 5.45pm. They will advise you accordingly. RE: the 10%coupon that is issued for following your store. When i applied the apply the coupon, the coupon doesnt seem to work, as it didnt reflect the correct amount to be paid. Dear customer, shop coupon can only be applied on non-promotional item. We are running a special promotion for the router today. Use this chance to grab hold of this promo. While Stocks Last! I intend to place this router in office. What is the maximum coverage distance under 2.4Ghz bandwidth? 20 days left AIRSIM 3-in-1 Sim Card - Value: $10 4G/3G Fly Anywhere Enjoy Anytime! 20 days left AIRSIM 3-in-1 Sim Card - Value: $20 4G/3G Fly Anywhere Enjoy Anytime! PROLiNK 3 Days Special Only!